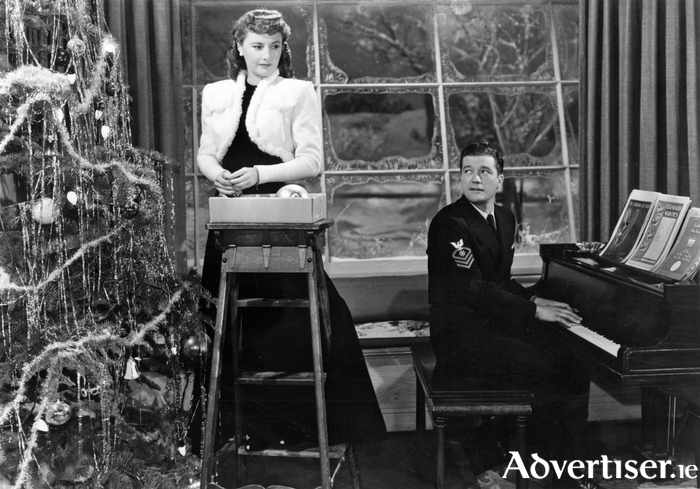 Barbara Stanwyck and Dennis Morgan in Christmas In Connecticut. War hero Jefferson Jones (Dennis Morgan ) becomes the object of a publicity stunt staged by a magazine publisher. The publisher announces Morgan has won a Christmas dinner, to be prepared by the magazine's housekeeping expert Elizabeth Lane (Barbara Stanwyck ) in her Connecticut home, except Lane does not have a home in Connecticut, has never been in a kitchen, and does not have a husband.